Embrace spring while painting your favourite flower. Experienced artist, Sandra Iafrate will help you create a botanical study, learn brush stroke techniques, composition and also work on a second painting from a beautiful flower. Acrylic mediums, gels, paints and pastes, archival paper for study, an 8×10 canvas and some flowers will be provided for this workshop! Participants are encouraged to bring their favourite flower. Sandra Iafrate is a certified GOLDEN Artist Educator for GOLDEN Artist Colours Inc. and teaches about current paints, pigments, mediums and materials and how to use them in creating contemporary art. Sandra is also co-founder of North Toronto Group of Artists, has launched launched many community and school-based arts projects and initiatives. 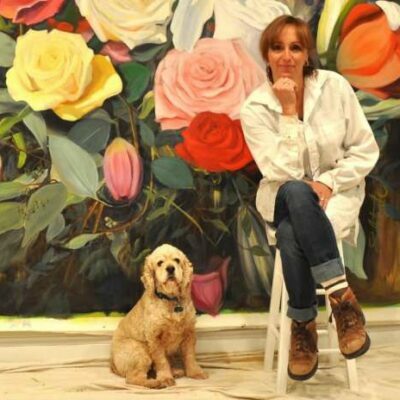 Her paintings of nature and flowers are in a variety of mediums: oil, acrylic and mixed media, and her works are exhibited and sold internationally.